The Badgers are getting ready to face the Bemidji State Beavers for the Western Collegiate Hockey Association Final Faceoff as the University of Wisconsin women’s hockey team (29-3-2) heads off to Minneapolis to take on Bemidji (16-18-3) Saturday at the Ridder Arena. UW has previously defeated Bemidji State in four other face-offs this season, giving the Badgers some confidence walking into the match on Saturday. The No. 1 ranked Badgers have beat the No. 4 ranked Beavers in the past three Final Faceoff games, so Wisconsin is looking to keep their win streak alive this weekend. If Wisconsin wins Saturday, the Badgers will move on to play the victor of Ohio State and Minnesota on Sunday. Whoever wins the Sunday game will solidify their spot in the 2018 National Collegiate Women’s Ice Hockey Championship. Wisconsin’s leading scorer, Abby Roque, will go up against Bemidji’s top goal scorer, Haley Mack, in a Midwestern showdown. Both girls born and raised in the Midwest, and are looking to take home the victory in their conference. Roque is entering Saturday’s game with 26 assists and 35 points just this season, leading the team in both categories. Mack also heads her team in points, with 25 goals this season. The Badgers have quite the advantage going into this weekend’s game, but it is not time to be complacent. Their last match up against Bemidji ended in a tie game, with Wisconsin winning the shootout 2-1. 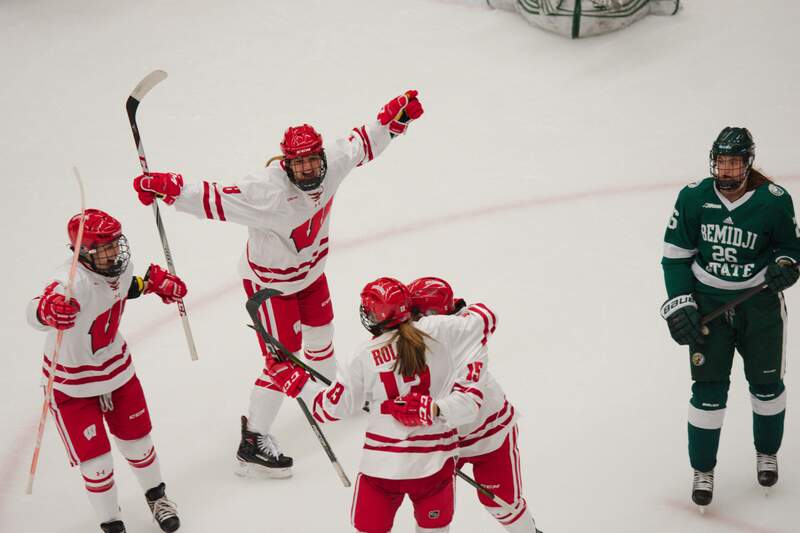 Wisconsin stars Maddie Rowe and Brette Pettet scored two shootout goals to lock in their fourth win of the season versus the Beavers. But Bemidji will be coming in with a vengeance, so the Badgers have to be on top of their game in Minnesota. Bemidji State is coming off of a win versus Minnesota Duluth this past Sunday in the first round of the WCHA Playoffs. Because Wisconsin has been ranked number one all season, they were granted a bye for the quarterfinals of the Faceoff. They haven’t played a game since their Feb. 17 matchup against Minnesota, giving them time to rest and prepare for the tournament. While the Badgers have had some much deserved R & R, they are now back on the ice and ready to battle the Beavers. This game will give them the confidence moving forward for the NCAA games coming up soon. Puck drop is scheduled for 2 p.m. this Saturday from Minneapolis.